With the free update to Final Cut Pro X 10.4.4, Apple has just released comprehensive new features for FCPX, Compressor and Motion. Key new features in FCPX include: a frame-based Comparison Viewer for consistent color correction, deep third-party integration (e.g. for Frame.io, Shutterstock, CatDV, etc. ), new batch export features, new timecode displays, new noise reduction, SRT subtitle support, and more. Probably the most far-reaching innovation is the comparatively deep integration of third-party apps, which extends across very different areas. For example, tools such as Frame.io for remote collaboration/acceptance can now be integrated into FCPX, enabling real-time communication, acceptance, marker setting, etc. 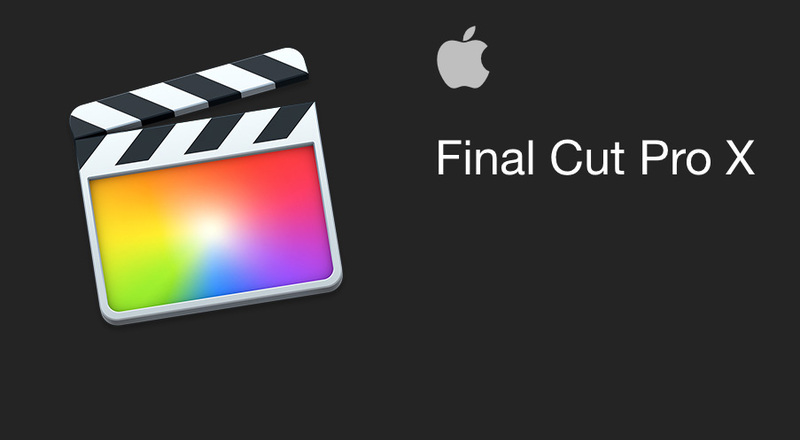 in FCPX. With Shutterstock integration, stock videos, photos and music can now be dragged onto FCPX&s timeline as placeholders in reduced resolution and then later replaced/played out with licensed high-resolution material. With the integration of Media Asset Managemnet software such as CatDV or KeyFlow Pro, files can be transferred to FCPX, marked, searched, etc., and the user can easily create and edit a file with a single mouse click. In the daily work with FCPX, the new comparison tool for color correction, the new noise reduction and the new batch export should be central for many. With the new Comparison Viewer, any frame can be saved as a reference for color correction and then selected for grading. We expect the new noise reduction to result in a faster workflow compared to third-party manufacturers. Here we are looking forward to the first tests. In the FCPX Viewer, the noise reduction effect can now also be viewed when Playhead is paused (deactivated during skimming). Additionally the noise reduction can be moved as effect before or after other effects which might be helpful for more complex video editing. With the new Batch Share and Export function you can export several clips in the browser with or without LUT (e.g. for On Set Dailies), whole projects (even several), as well as multiple files in different formats. If you export mainly to YouTube, Facebook and Vimeo, you should be able to use the new SRT subtitle support, which is supported by the corresponding social media and streaming platforms. Other new features include Motion 5.4.2. which now has the more complicated curve and color wheel based color correction tools of FCPX 10.4, 64-bit Compressor capability (more memory addressing) and more. 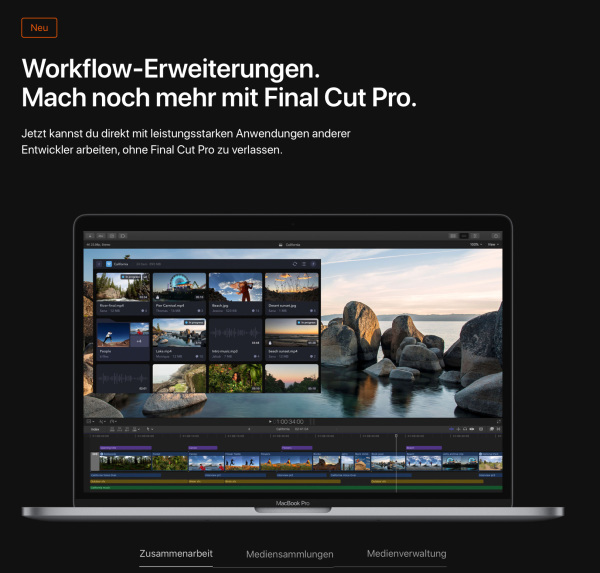 deutsche Version dieser Seite: Apple: Großes Final Cut Pro X 10.4.4 Update mit Farbvergleichstool, Dritthersteller Integration uvm.